These My First Frugi dungarees are a classic item of baby clothing, made with super-soft needlecord and have a retro bloomer trouser cut. 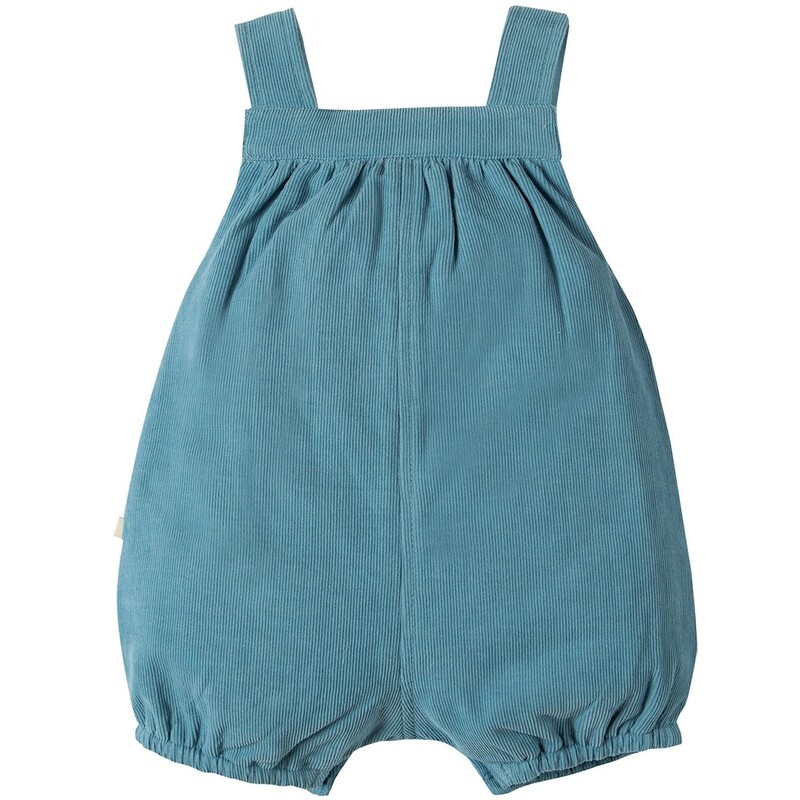 These blue organic cotton dungarees have an embroidered tractor motif on the front - perfect for little farmers. 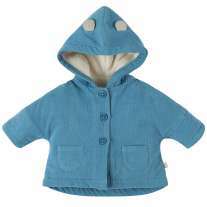 Two button settings at the shoulders allow for room to grow and there's lots of room for cloth nappies too. Poppers at the crotch make nappy changes easy. 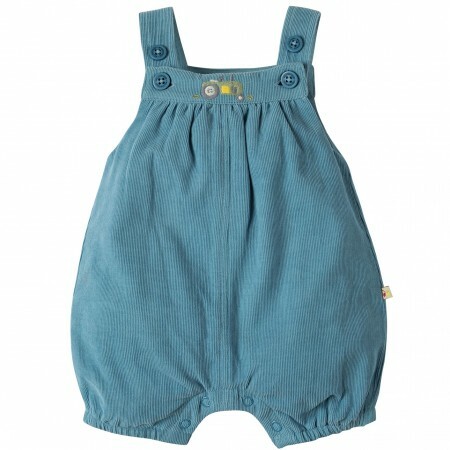 These My First Frugi dungarees are ethically made from 100% organic cotton which is gentle on delicate baby skin. 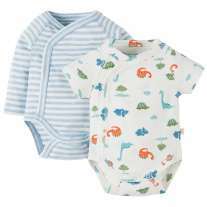 Team up with a Frugi bodysuit and a matching jacket for an adorable outfit for a new baby.